Our event space like you've never seen it before! 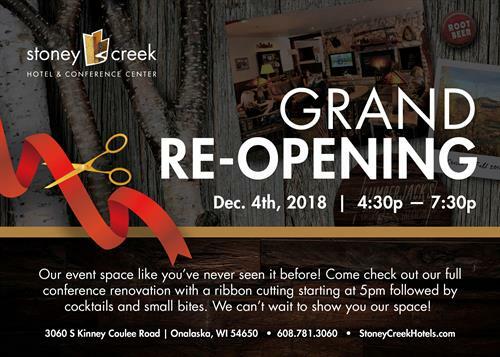 Come check out our full conference renovation with a ribbon cutting at 5pm followed by cocktails and small bites. We can't wait to show you our space!